Singapore-China relations appear to have taken a turn for the worse. The recent seizure of nine Singapore Armed Forces armoured vehicles in Hong Kong is the latest in a series of incidents that have made many wonder what is happening between the two countries. Why is it that what appeared to have been acceptable in the past is now viewed by one party in a different light? In the case of the SAF carriers, they were in transit in Hong Kong en route to Singapore after their deployment in Taiwan where SAF troops hold regular exercises. Singapore's military arrangement with Taiwan has been a longstanding practice, started in 1975 when it was building its armed forces from scratch and needed space not available in its own country for training purposes. Chinese leaders might not have liked the arrangement but they did not make a public issue of it. Indeed, it did not stop the two countries from establishing diplomatic relations in 1990. Suddenly, Beijing now says it has a serious problem with it, going by what its spokesman was quoted as saying: "The Chinese government has always firmly opposed countries that have diplomatic ties with China to have any form of official exchanges with Taiwan, including military exchanges and cooperation." When relations between two countries turn sour, the past can be recast and reinterpreted. The same could be said about China's displeasure over Singapore's position on the South China Sea (SCS) issue. Singapore has said that, as it is not a claimant country, it will not take sides in the dispute which involves several South-east Asian nations and China. But it hopes the disagreements will be settled peacefully according to established principles: Adherence to international laws and the protection of freedom of navigation in the affected waters. Singapore has stuck closely and consistently to these principles which China did not take issue with in the past. In recent years, though, China has become more assertive, constructing various facilities on some of the disputed islands and refusing to take part or accept the verdict of an international tribunal which had ruled in favour of the Philippines' case. It has also taken issue with Singapore, accusing it, through reports in the Chinese media, of instigating other Asean countries to take an unfriendly position regarding the SCS issue, a charge Singapore has vigorously denied. Why is Singapore's consistent position on the SCS now viewed so antagonistically and provoking such a strong reaction from Beijing? The short answer: China has changed. As Professor Wang Gungwu, a noted historian, observed last week at a forum, China today isn't the same country as the one which needed help from many countries, including Singapore, in the 1980s and 1990s to develop its economy. "The China that needed our external help is no longer that way at all. China now is actually in the position of being looked to for help... and Singapore has to reassess its position not because of anything specific that Singapore has done or what the Chinese have done." The change has been most pronounced in the economic sphere. China is now the largest trading partner of almost all the countries in the region, including Singapore, and is the largest source of tourism and investments. This economic impact has been mainly positive, boosting growth and opportunities for many countries which have benefited from the vast and growing Chinese market. But along with its economic strength has come political and military clout. As its influence and ability to project its power increases, China is changing the geopolitical landscape. The most significant impact of this will be in the shifting balance of power between China and the United States, but this re-balancing will take some time because America is a superpower and will not cede ground easily. But smaller countries do not enjoy this advantage and will feel China's growing weight more dramatically, like small buoys in the sea buffeted by a supertanker passing by. Because of its proximity, South-east Asia will be one of those most affected. China's growing assertiveness in the South China Sea dispute is but one manifestation of this, and there will no doubt be many others. In such a scenario, it would be unrealistic to expect a trouble-free time as countries in the region adjust to the new reality. In fact, many South-east Asian states have already shifted their positions, the most dramatic being the Philippines led by newly elected President Rodrigo Duterte, who declared recently that his country had realigned with China and was moving away from the US. There is bound to be friction and tension in the coming years as governments make adjustments to accommodate the new growing power. 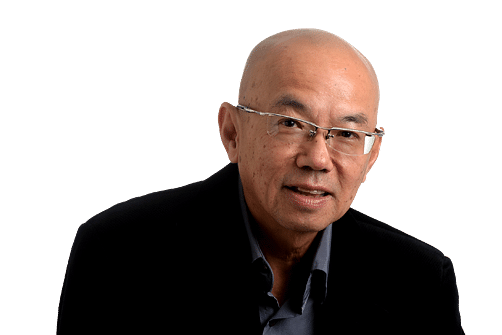 Singapore's recent problems with China should be seen in this light - an inevitable clashing of gears as the many moving parts change direction and, sometimes, collide. It would be highly unusual if there were no ups and downs as the balance of power shifts. It is important, therefore, to take a longer-term view of the changing ties and chart a course that ensures Singapore's interests are protected in the foreseeable future. This is especially pertinent as Singapore has many other interests and linkages with the rest of the world which it assiduously developed over the years. These overlapping relationships have made the country what it is today - globally connected and relevant - and have been a large part of what made it successful. It cannot suddenly change course without serious damage to its international standing. But it also makes for a more challenging foreign policy because some of these countries have different and competing interests with China. As the balance of power shifts, Singapore will have to make new calculations and adjustments. It will require nimble and adroit leadership able to navigate the changing landscape. But the people, too, need to understand the new realities and not become unduly flustered or, worse, panicked into submission at the slightest pressure. They should know that how Singapore responds to Chinese action can have far-reaching consequences for itself and the region, and that it isn't just a simple matter of not displeasing China for the moment, whatever the costs. Foreign Minister Vivian Balakrishnan was right to point out that the relationship isn't defined by one single issue but is multifaceted . Singaporeans need to have a deeper understanding of how the world is changing, how the changes affect the country, where their interests lie, and what it takes to do well in the new environment. These are testing times; they are a foretaste of more to come. The writer is also a senior fellow at the S. Rajaratnam School of International Studies.